CD will be published in Finland 27.10, in England 3.11, in Germany on 10.11, in USA and other countries 11.11. 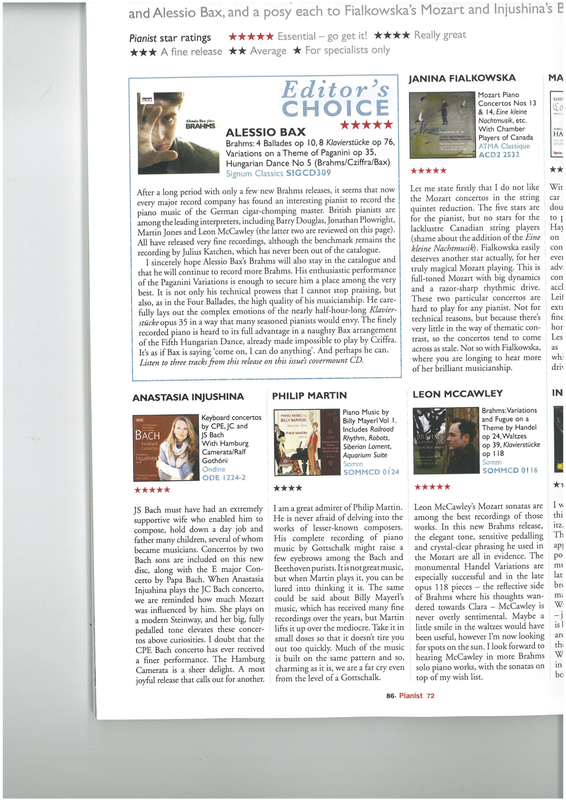 A nice review of 'Bach Keyboard Concertos' in Dutch. Read here! 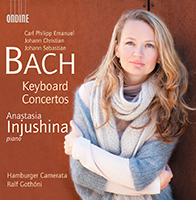 Ondine releases Anastasia's CD Bach Keyboard Concertos. Read the press release here. 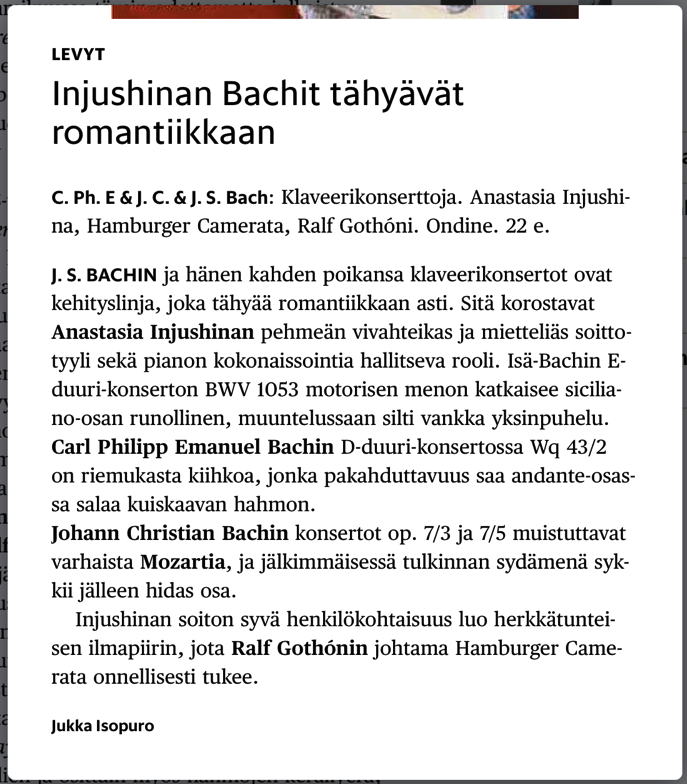 New CD ’Bach Keyboard Concertos’ will be released internationally by Ondine in February 2013. 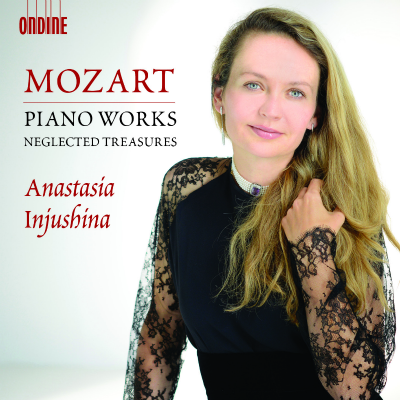 CD will be published in Finland 11.2, in Germany on 18.2, in England 25.2. and in USA 26.2. In other countries, depending on territory, during late February/March 2013. The CD will be available in the digital stores: iTunes, eMusic, Amazon, ClassicsOnline, Cobuz and Spotify. International digital release date is 5th of February, 2013. Spring Light Chamber Music 2013 program released www.springlightmusic.com.